"spiritually or in one accord." Would you join with us? staff as the Volunteer Coordinator for Prison Fellowship at the federal prison in Ft.
members that were paying the price without being incarcerated. inmates in Texas, Louisiana, Missouri, Arizona and California. guidance, instruction or financial support from any organization. a part of this ministry? 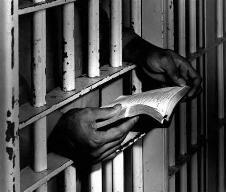 alone, with many inmates in general population. available to children of TDCJ inmates who lost their lives in early 2015.
and coordinate resources through local churches. made application for IRS 501 (c) 3 status.